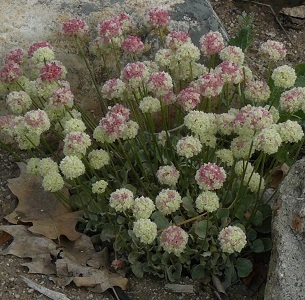 Cushion Buckwheat forms compact mounds of grey-green leaves topped by pinky-white pom-poms in late spring. Great for rock gardens or for any small space in the landscape. Choice! Height x Width: 10" x 10"